You can get a good nights sleep by blocking out all light with this sleep mask. 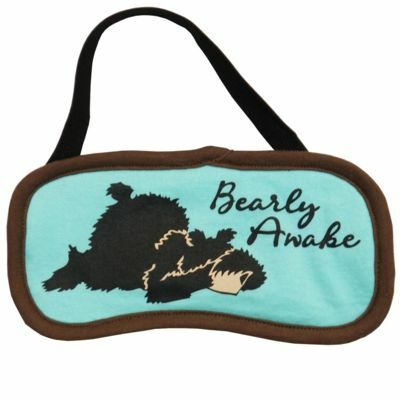 The cute design by Lazy One® features a black bear sleeping with the message "Bearly Awake". 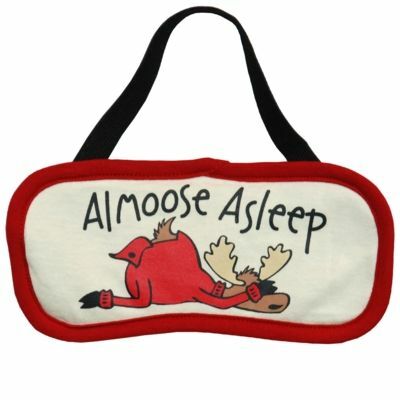 The mask is made from 100% cotton and uses a black elastic strap to secure it in place.